Not sure why your doctor is making your do a test for gestational diabetes? We've got the answers. Congratulations on your pregnancy! As your pregnancy progresses you can often be overwhelmed with the dos and don’ts as well an abundance of information on issues that can arise during your pregnancy, like gestational diabetes. You may not know much about gestational diabetes other than you need to be tested. So, what is gestational diabetes, can it be prevented, how is it tested and how does it affect pregnancy and baby? Gestational diabetes mellitus or GDM is a type of diabetes that occurs during pregnancy and usually goes away after the baby is born. Gestational diabetes has become the fastest growing type of diabetes diagnosed in Queensland affecting thousands of pregnant women. About 12-14% of pregnant women will develop gestational diabetes mellitus around the 24th to 28th week of pregnancy. If not managed, it can have significant effects for you and your baby. During pregnancy women need to make two or three times more insulin than usual. Insulin is a hormone your body makes to help you use sugar (glucose) from the carbohydrate foods you eat. This is because the pregnancy hormones produced by the placenta stop insulin from working properly, which is known as insulin resistance. If your body is already insulin resistant it may not be able to cope with the extra demand for insulin production during pregnancy, resulting in higher blood glucose levels and a gestational diabetes diagnosis. Am I at risk of gestational diabetes? Can I prevent gestational diabetes? You can reduce your risk of developing GDM by gaining a healthy amount of weight during your pregnancy. You can read more about what foods to eat when pregnant here and about healthy weight gain in pregnancy here. Your GP or maternity care provider will refer you to a pathology lab between week 26 and 28 of your pregnancy for a Glucose Tolerance Test. This is a series of blood tests that requires you to fast overnight and take a sugary drink. I was advised to book my test first thing in the morning as you are required to fast the night before and for the 2 hours while you have 3 blood tests. Amy, my pathologist, greeted me and took me into the pathology room. We ran through some admin and got right down to business taking my first blood test. This would test my fasting blood glucose levels. 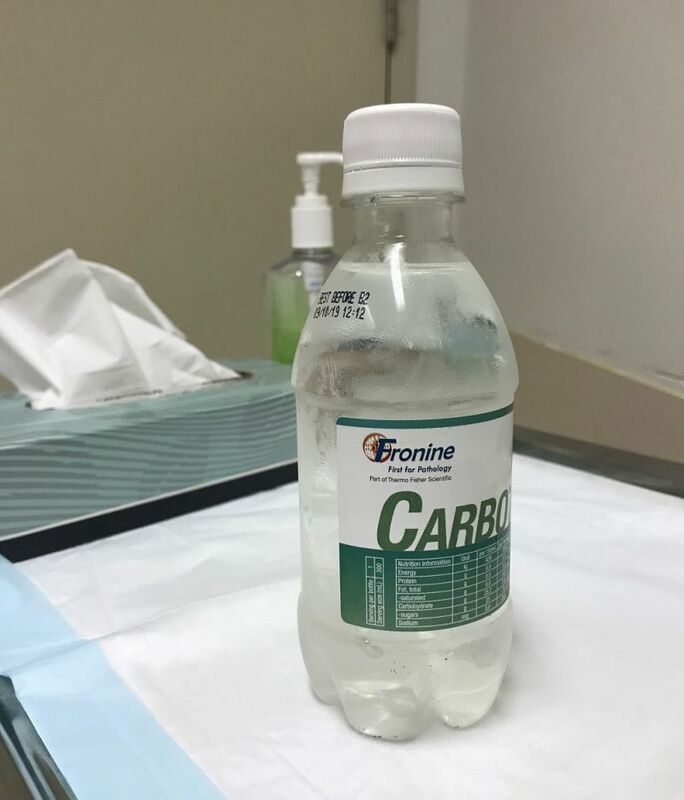 After the test I drank the glucose drink. I was slightly nervous about this drink as I had heard some negative stories. It wasn’t too bad and tasted like a strong extra sweet flat lemonade. I thought it would be thick but it’s the same consistency as a water. My next test would be an hour after I had finished the drink. I had to stay in the waiting room and wasn’t allowed to have anything to eat or drink other than water. I did start feeling a little queasy but was told if I vomited I’d have to come back another day to do the test. I did my best to distract myself from the feeling by watching Netflix on my phone. Amy collected me for my second test, which they took from my other arm, this second sample of blood was much quicker than the first. During the next hour I was starting to feel hungry but the nausea has settled. The third and last blood test was super quick and I was out of there for a coffee and some morning tea. My midwife enquired after my results later that afternoon and let me know that my levels had come back normal. I was relieved to know that I didn’t have gestational diabetes and that my pregnancy was going well. This is one Queenslander’s experience of the glucose tolerance test. Different women across the state might have slightly different experiences. If you have any questions about how your test will run, talk to your healthcare provider. If you are diagnosed with GDM, it’s important that your blood glucose levels are controlled during pregnancy to reduce long-term effects for you and your baby. Your health care provider will refer you to some additional health professionals to help manage your GDM. You should see an Accredited Practicing Dietitian be provided with education on what to eat and physical activity that will help keep your blood glucose levels in the target range. You will also need to monitor and check your glucose levels, usually each morning and 1-2 hours after each main meal. If your levels cannot be controlled with diet and activity alone you may be required to take medication called metformin and/or insulin injections to help manage gestational diabetes. How does it affect my pregnancy and baby? 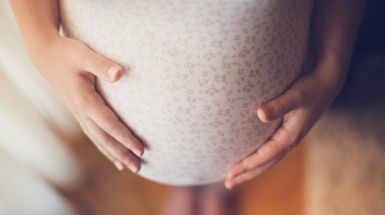 If too much glucose passes through the placenta to the baby, it can make the baby grow too big and may increase the likelihood of an early delivery or the need for C-section. If your GDM is appropriately managed with lifestyle and/or medication you are expected to have a normal delivery with no effects on your or your babies’ long-term health. However, you and your baby will have an increased risk of developing Type 2 diabetes later in life. What happens once I’ve given birth? Once you have given birth your blood glucose levels usually return to a normal level and GDM disappears. 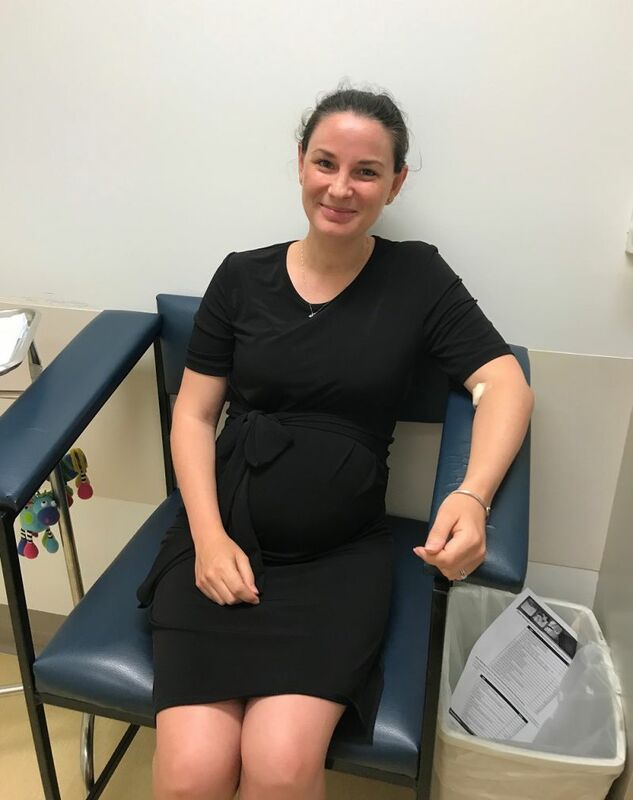 Your medical practitioner will refer you to take another glucose tolerance test around 6-12 week after the pregnancy to make sure your levels have returned to normal. You are however at risk of developing Type 2 diabetes later in life and you will be more likely to develop GDM in future pregnancies. If you eat well, stay active and healthy you can reduce you chance of developing Type 2 diabetes by 50%. Want to get more Queensland Health updates, tips and news delivered straight to your inbox? Sign up to our newsletter!